It's Time to Protect Your Company by Improving Your Cybersecurity Habits. As the days march on, business leaders are still not placing enough emphasis on cybersecurity and related issues. 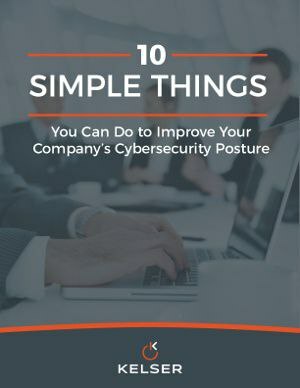 This perspective not only has negative effects on a company’s overall security posture, but it also opens even the strongest organizations up to the types of digital threats from which they might not recover. Kelser is a full lifecycle security, audit and risk management company, serving customers of all sizes throughout the Northeast. Since 1981, Kelser has helped solve business challenges through the adoption and implementation of cutting edge technology. From architecture and strategy design to penetration testing and incident response, the firm uses clearly defined, industry accepted methodologies and quality control processes to preserve its clients’ revenue, reputation and overall business.